The easiest, fastest and safest way of ordering tickets is to make a reservation on this website. You can also call our helpdesk (English and Scandinavian speaking staff) on +1 855 325 0977,, but you will still need to make the booking on-line at our site. You can also send your questions via our contact form found on this page, and we will get back to you as soon as possible. In general you cannot cancel, refund or change reserved and paid tickets for Prague, which you are informed about early in the reservation process, and which you confirm when you accept our terms and conditions. If we get your tickets cancelled or re-sold to other clients, it will take time before you get a refund. It may take up to 1-2 weeks after the performance date. You must also realise that if we are able to cancel or re-sell your tickets there might be a cancellation fee /re-selling fee per ticket. If we are unable to cancel or re-sell your tickets no fee will be applied. 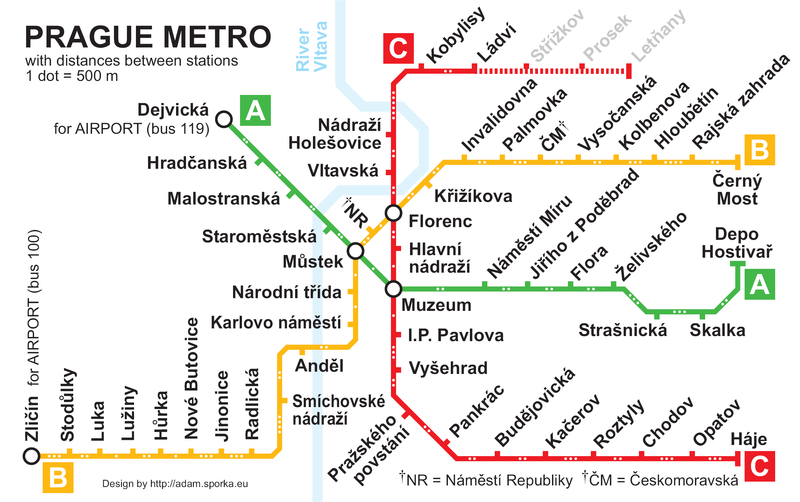 Here at PragueTicketsInternational.com you can buy cancellation protection, providing you with full coverage if you should be so unlucky as to have an accident or if you, a member of the travelling party or your closest relatives should get ill.
CLICK HERE for a map of the Prague's metro, which you can print and bring to Prague. .
CLICK HERE if you like information about Ticmate, the company behind PragueTicketsInternational.com. Here you can see what other destinations Ticmate is offering information and ticket sales for! . CLICK HERE hvis if you like to know a little more about Prague before you visit the city.